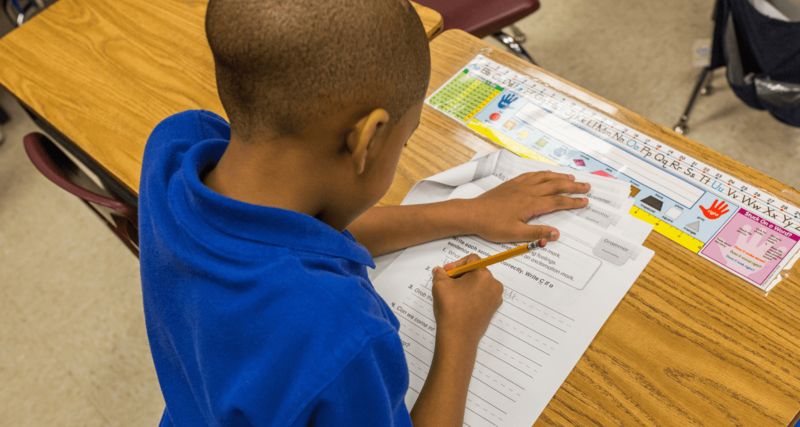 Over the next several days, we are highlighting educators in our schools. 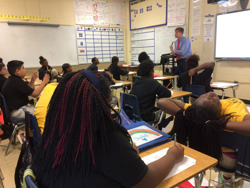 Today we meet Joshua Sloan, sixth grade math teacher at Lester Prep, and learn why he values be a part of the LP team. If you ever observe Mr. Sloan's classroom, you'll find not only a great instructor but a teacher who cares for his students and believes in the power of encouragement. Before diving into instruction time, you might find him leading the class in celebrating students' gains from the previous week just after they've heard a highlight from a classmate's weekend. Then, pencils are raised and all eyes are on Mr. Sloan. It is a joy to see his students respect their teacher and show up ready to learn! We asked Mr. Sloan why he likes working at Lester Prep and how he's grown as an educator this year. 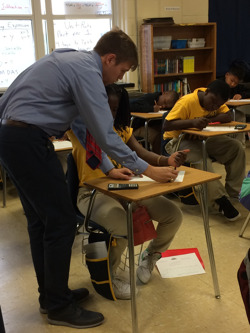 "I like working at Lester Prep because I am surrounded and supported by a great staff and principal," Mr. Sloan said. "I also love working in Binghampton because there are a lot of good things happening both in and outside of the school. 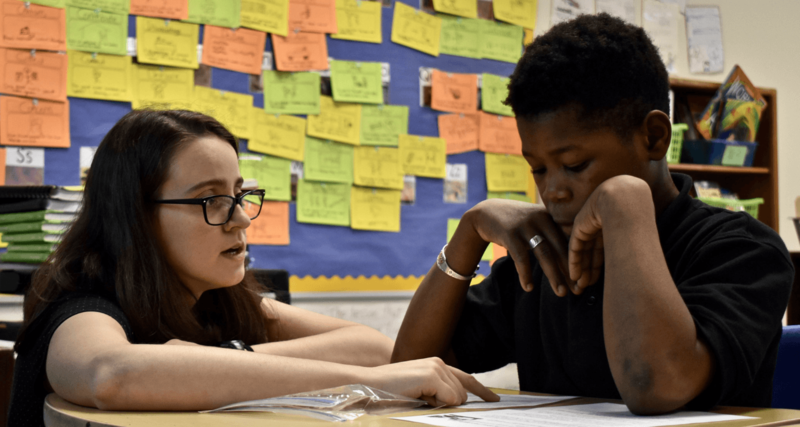 While working at Lester Prep this year, I have grown in my ability to teach math by learning from and working with two excellent math teachers and department head. It has been a year of refining how I teach math through regular feedback on lesson plans and opportunities to collaborate with my fellow math teachers." We also asked him what he might say to an educator considering applying for a position at Lester Prep. He said, "I would encourage another educator to consider teaching here because of the quality people with whom you get to work. Teaching is teaching, so why not teach at a school with a great team!" 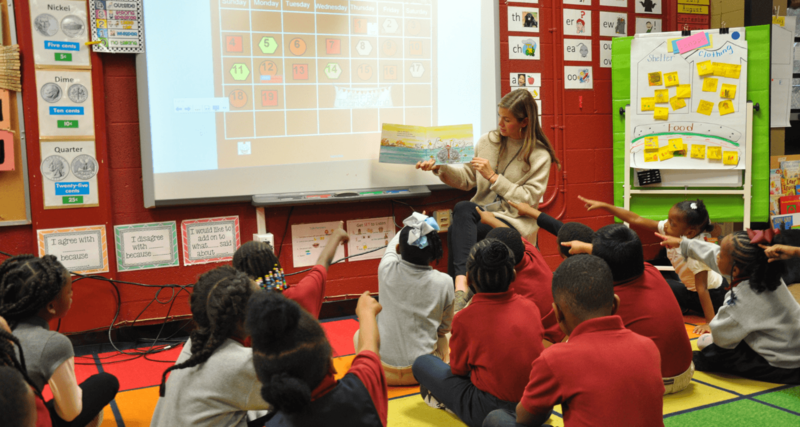 Are you an educator considering a teaching position with one of our schools? 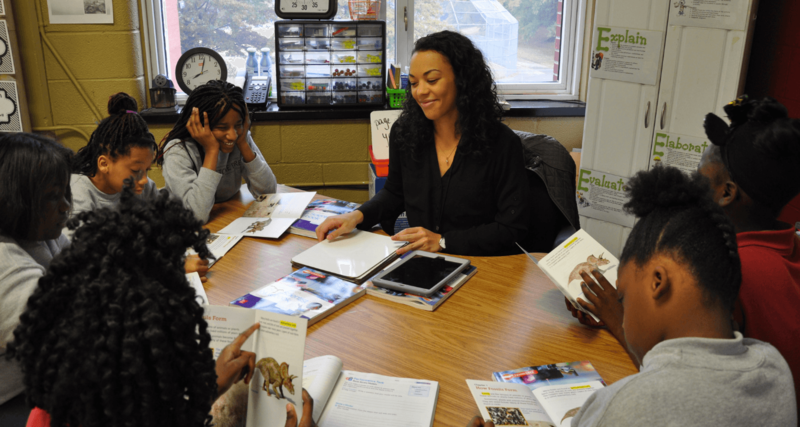 Learn more about teaching in our schools and view all of our open positions on the Join Our Team page right here on our website!